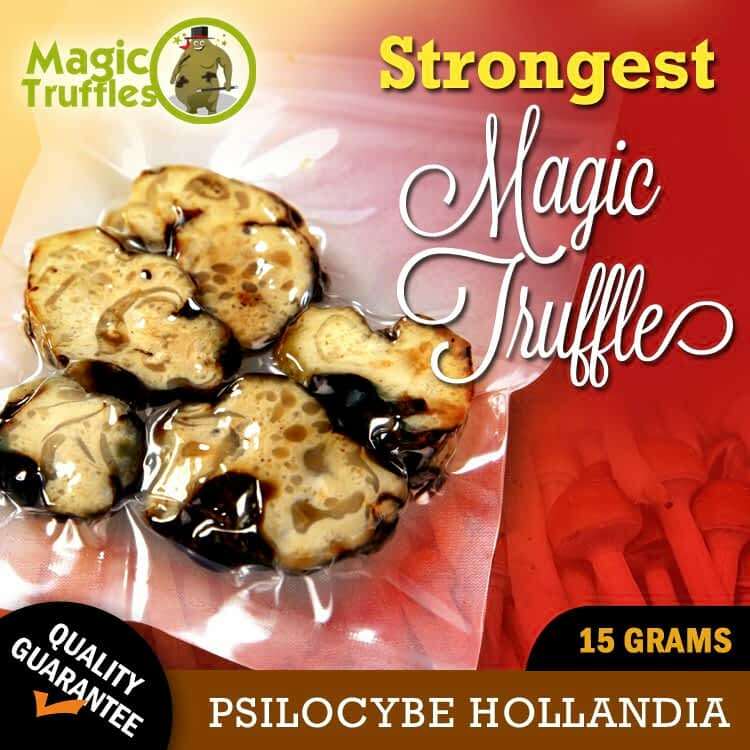 Psilocybe hollandia is a new super strong truffle developed and grown in the Netherlands. Hollandia is also known as the new magic mushroom. Nearly twice as strong as the other varieties. Be prepared for a very heavy trip with lots of visual effects,weird yet creative thinking and intense body buzz once in a while. This new type of Psilocybe that contains almost twice as much active ingredients as the Psilocybe atlantis and it’s already popular with experienced shroomers. With the hollandia truffle, the usual 15 grams dose should only be taken by experienced users who know the effects of psilocybine on their body. If you are new to psilocybine, we recommend half a dose: 7,5 grams. Share your experience about Hollandia with other customers. Submit your tips or thought on this product, be detailed and specific.